The Mendip Caves examines the demographic features of Wookey Hole caves, and the Cheddar gorge and caves. This book contains eight chapters that discuss the history of the places and the caves. The first chapters addresses some important exploration of the subterranean river, Cox’s cave, Gough’s cave, Swallet caves, Rock shelters, and the Badger Hole. The succeeding chapters describe the great Cave of Wookey Hole; characteristics and personalities of the people living in the cave; description of the noises heard inside the cave; the discovery and historical background of the cave; and detailed description of Valley of Wookey Hole and the Gorge of Ebbor. 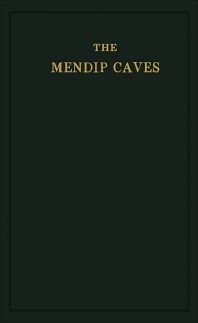 Other chapters examine the artefacts discovered in the cave, the traditions and daily activities done inside the cave, and the antiquity of the caves of Mendip. The last chapters explore the caves and shelters of eastern Mendip, as well as the Levvy of Sandford Hill. The book can provide useful information to the archaeologists, explorers, students, and researchers.